Pinterest Buyable Pins have been around for a couple of years now. 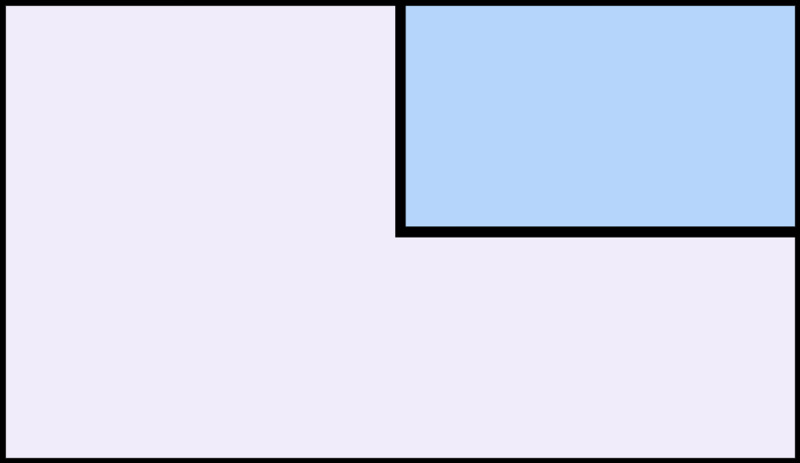 So we have decided to investigate how effective they really are, and if eCommerce stores should consider using them. In this article, we look at what exactly Buyable Pins are, and consider a number of case studies to see if this type of Pin is actually driving results. We then discuss the pros and cons of using Buyable Pins, and finish by sharing some tips on how to ensure your Buyable Pins are successful. 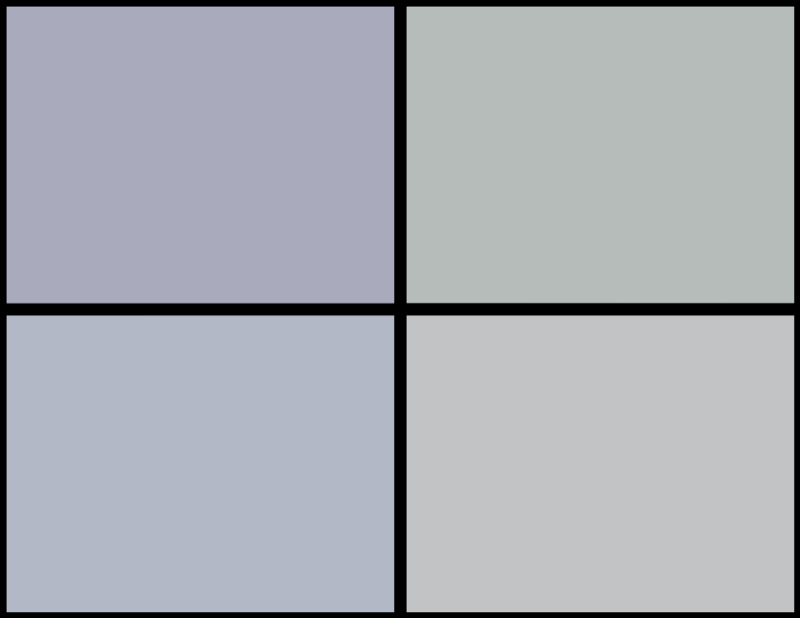 Pinterest Buyable Pins – what are they? Buyable Pins enable Pinterest users to buy products without ever leaving Pinterest. Once you have set up Buyable Pins, every one of your products displayed as a Buyable Pin can be purchased directly from Pinterest. To buy one of your pinned products, visitors can select the “Add to Bag” button on a Buyable Pin. To make the payment, buyers then click “Check Out” from their Pinterest shopping bag. Payments are taken on the Pinterest website either via credit card or Apple Pay. You are then in charge of shipping and customer service, just as if you had made the sale on your own eCommerce store. Buyable Pins are a win-win for Pinterest. 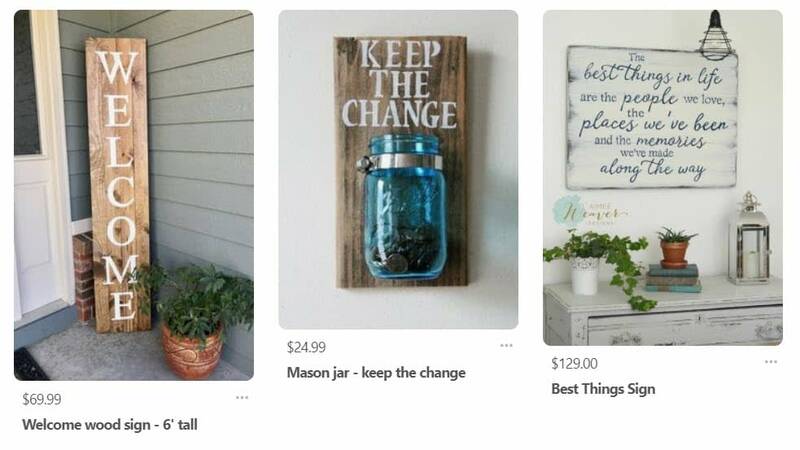 Firstly they keep the Pinterest sellers happy, as Buyable Pins allow them to sell their products to the vast Pinterest audience. And secondly, it prevents Pinterest losing their visitors, as people won’t be leaving to make purchases on other sites. But if you have your own eCommerce store, is it really worth your while selling products on Pinterest? Let’s find out how effective Pinterest Buyable Pins really are. How effective are Buyable Pins? 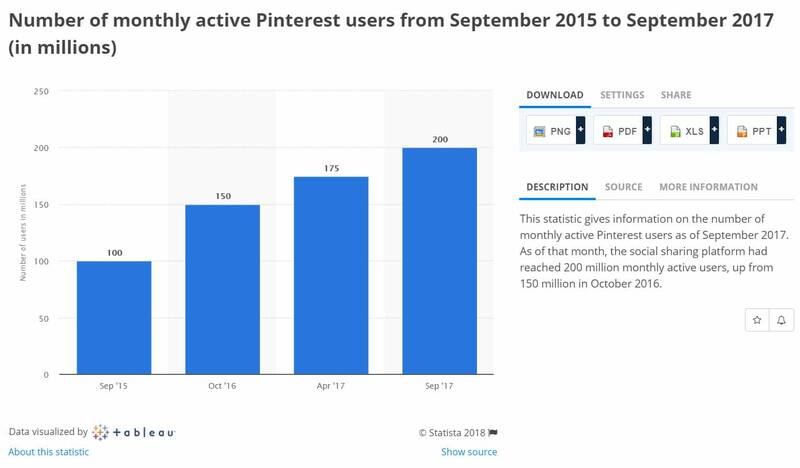 At the end of 2017, Pinterest had 200 million active monthly users. This had grown from 100 million at the end of 2015. So there is no doubt that Pinterest can help your products reach a wider audience. Research from Pinterest has found that 93% of Pinners use Pinterest to plan purchases. And 87% have made a purchase after seeing something they liked on Pinterest. FlyAway BlueJay is an online shop that sells artisan products from all over the world. 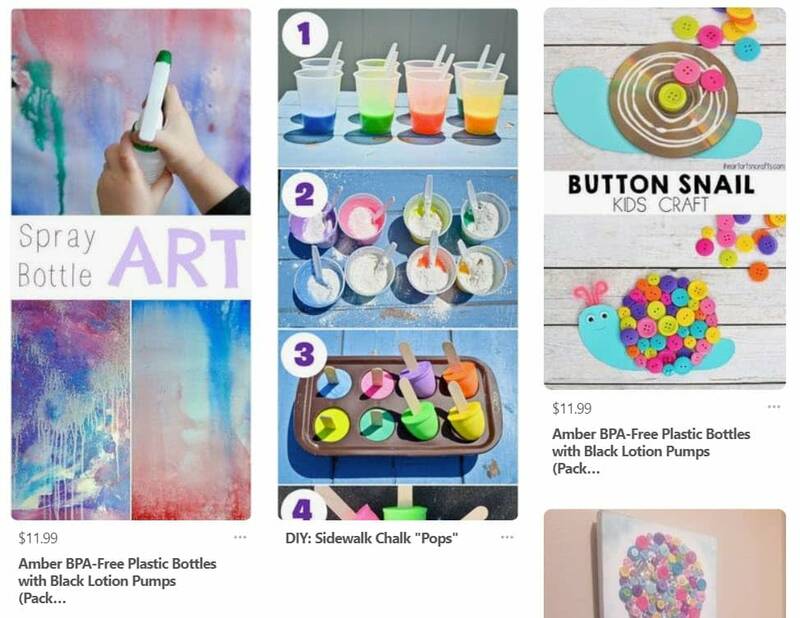 This eCommerce store used Buyable Pins to reach potential customers on Pinterest who were shopping for gifts but were unfamiliar with their brand. 20% of sales were driven by Pinterest. 100% of these sales were from new customers. 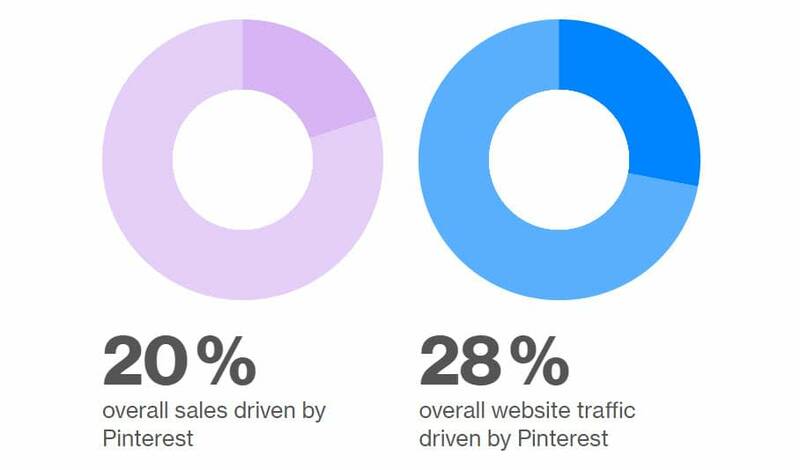 28% of web traffic to their site was also driven by Pinterest. As you can see, Buyable Pins improved both traffic and sales for FlyAway BlueJay, and helped them reach a new customer base. 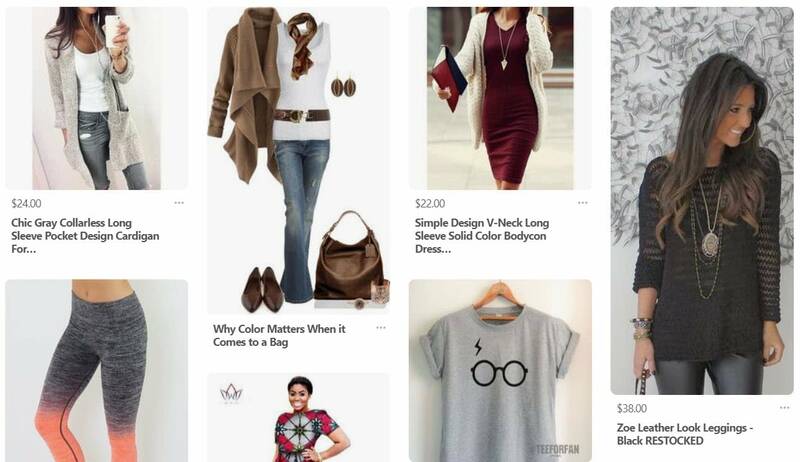 Shophearts is a boutique online clothing store that, with 4700 pins, already had a strong Pinterest presence and following before they started using Buyable Pins. Their aims for Buyable Pins were to reach new customers and increase brand awareness. During a targeted time period, Shopheart found that Buyable Pins helped them successfully increase sales and exceed new customer acquisition goals. Buyable Pins drove 15% of sales and 20% of website traffic. They also found that Pinterest customers spent 30% more than their average order value. And 90% of Buyable Pin customers were new to Shopheart. These are some great results for Buyable Pins. 2x increase in traffic to their site per year. 3x increase in sales per year. 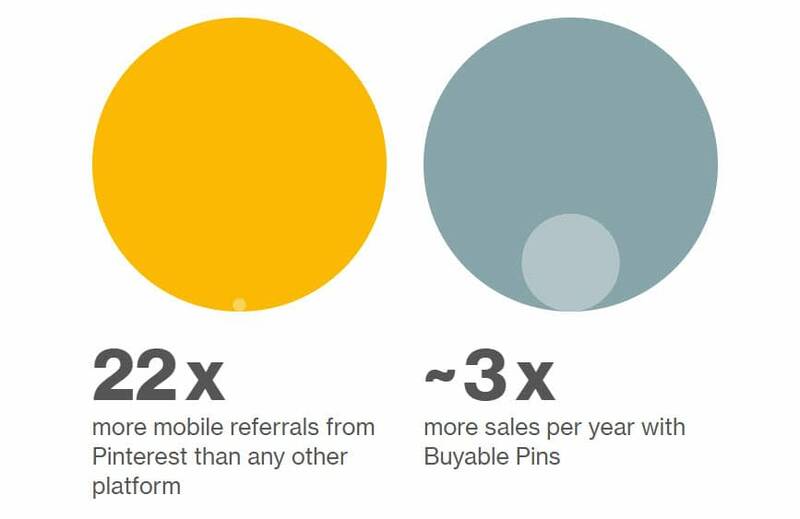 22x more mobile referrals from Pinterest than any other platform. But this isn’t all. 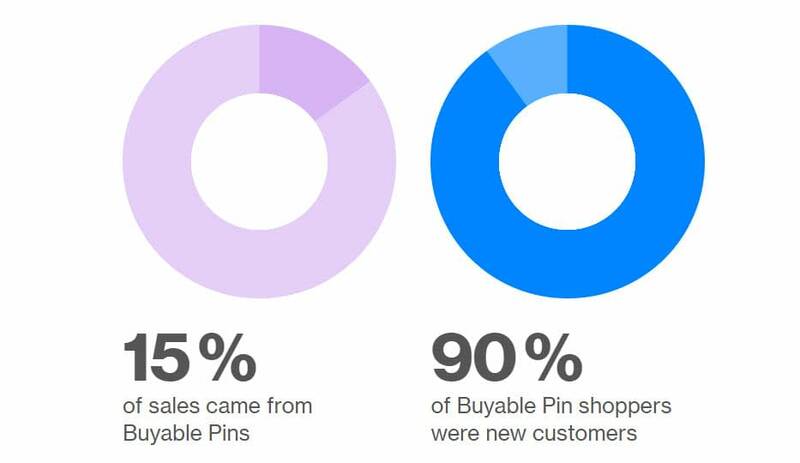 Gardener’s also found that 95% of customers that purchased products via Buyable Pins were new customers. And the strongest conversions from Pinterest came from 18 – 24 years olds. This was a much younger crowd than their usual core demographic of 45 – 64 year olds. Modern Citizen is a relatively new brand that sells women’s fashion and home goods. By setting up Buyable Pins for their entire product inventory they received some interesting and promising results. Firstly, Modern Citizen found their sales increased, as orders from Pinterest went up by 73%. Secondly, many Pinterest orders that came from across the US were outside Modern Citizens’ usual urban demographic. And lastly, Modern Citizen found Buyable Pins helped them expand sales in every product category they offer, with a particular increase in jewelry. Evidently, Buyable Pins have had an extremely positive impact on the businesses mentioned above. Next, we will discuss Buyable Pin best practices to help your eCommerce business attain similar results. To get started with Pinterest Buyable Pins you will first need to set up a Pinterest Business Account. Unfortunately, at the moment Pinterest doesn’t offer integration with WooCommerce, or any other WordPress eCommerce solution. Therefore, if you want to connect your WordPress store with the Buyable Pins service, you will need to do so through Shopify. Once you have applied to connect your site with Pinterest Buyable Pins and been approved, you are ready to start pinning your products on Pinterest. (Note: It may take between 3 – 5 days for your buyable pins to show up in the search results). When creating pins, it is sensible to create secret boards that no one else can see. This will enable you to try out different ideas, images, text overlay, and descriptions for your Buyable Pins, and see what works best. If you sell clothes or accessories, model the products on real people in real life settings. For home goods, display the items in home surroundings so viewers can imagine how the product will enhance their life. For crafts and DIY products, create collages that show step-by-step instructions. Also, consider adding a subtle call to action or logo to each Pin. This will help people recognize your brand and encourage them to buy your products. Always include keywords that your target audience may be searching for in your Pin title and description. When writing the description, think carefully about what your customers might want to know about a product before they make a purchase. And try and adopt a tone of voice that reflects your brand and appeals to, and connects with, your consumers. By saving your Buyable Pins to public boards they will become more accessible to the Pinterest audience. Not only will your followers see these Pins on their home feed, pinning to public boards is an effective way to reach and engage with new potential customers. You can also create a public group board where your entire team can share relevant and inspiring pins. Just be sure to set out some strict guidelines about what can and cannot be posted on this group board. 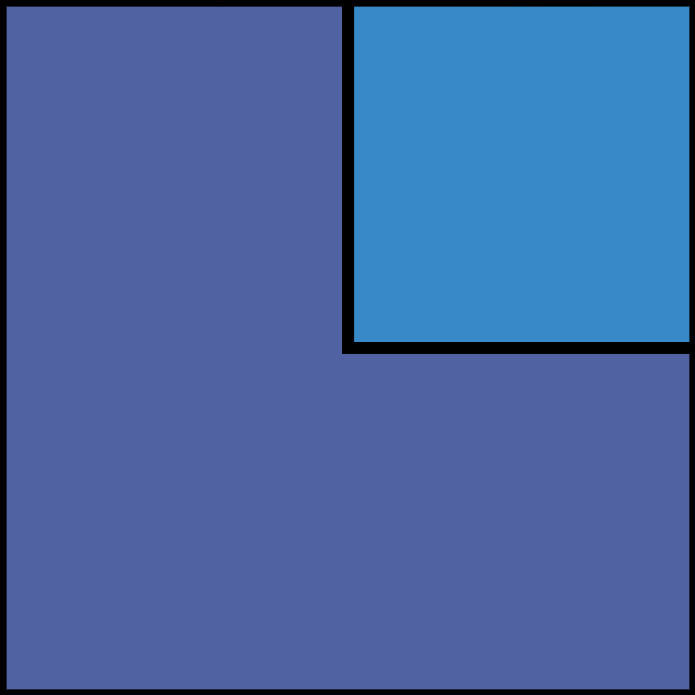 You don’t want to post pins that are going to confuse or alienate potential customers. You can make it easier for your target audience to discover your Buyable Pins by promoting them. Promoted Pins are premium pins that are displayed in key positions and to specific demographics to help you reach the right people. By promoting your Buyable Pins, you are more likely to connect with your target audience and therefore increase your sales. Pinterest provides useful analytics on your Pins and audience. Find out how your potential customers are engaging with your Pins, what content is working, and how your Buyable Pins and products are performing. You can then use these insights to help inform your Pinterest strategy. Still not sure on whether Buyable Pins are for you? Let’s summarize by going over the pros and cons of this service. 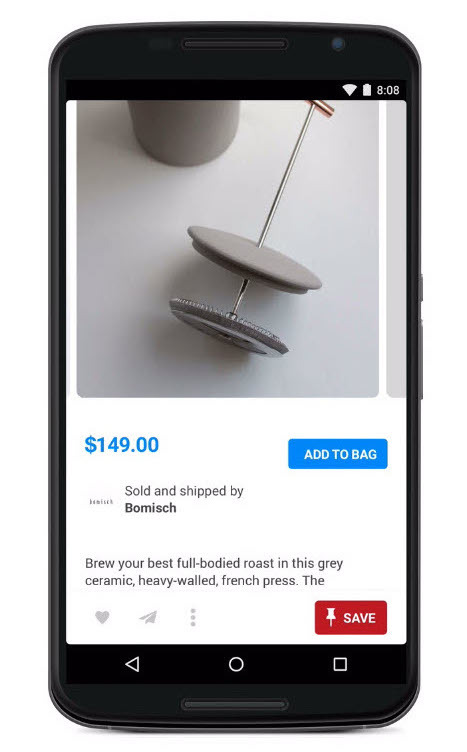 Buyable Pins work seamlessly on all devices including mobile – so no matter how your customers access Pinterest they can still make a purchase. Pinterest doesn’t take any commission – this means you keep all the profits. Pinterest lets you take care of all the customer service – this enables you to keep in contact with your customers, send follow up emails to promote further products and encourage buyers back to your store. Buyable Pins are only available in the USA. There is currently no WooCommerce integration. To use Buyable Pins alongside your WordPress eCommerce store, you will need to do so via Shopify. There are no guarantees your Buyable Pins will be seen by your target audience. To increase your chances of making sales, you should consider paying to promote your Pins. As you can see, the pros of using Buyable Pins far outweigh the cons. The research has shown us that Buyable Pins can make a real difference to your online store sales, generating impressive results. Pinterest Buyable Pins will help your eCommerce business increase conversions and achieve its goals. Buyable Pins create a seamless eCommerce experience for your customers, enable you to reach a wider audience and increase brand awareness. So are you ready to give them a go? Do you have any questions about using Pinterest Buyable Pins? Ask away in the comments below! and advertise your company faster, then this is exactly what you need.